Chomoka is a dynamic FinTech social enterprise in Tanzania that is unlocking the transformative potential of savings groups through technology. The social enterprise, incubated by CARE, is driven by a proprietary smartphone application used by savings groups to manage their records, access financial services and gain advisory support from a trusted network of agents. The primary target for the application are savings groups where the average member lives on under $2.50 per day. This presents challenges in getting widespread adoption of the application, but the social impacts of achieving scale are significant and CARE is ideally positioned as a platform for Chomoka success. The initiative builds on CARE’s 20+ years of experience in Tanzania as a leader in financial inclusion, which includes introducing and popularizing the Village Savings and Loans Association (VSLA) model nearly 20 years ago. Today, CARE has enabled 500,000 members nationwide to form and manage successful, sustainable VSLAs while similar models like VICOBA have flourished. In recent years, CARE has expanded on this informal model, working with leading banks and Mobile Network Operators to develop products and services that enable VSLAs and their members to access formal financial services, most for the first time. This transition – from exclusively informal to both formal and informal – illustrates CARE’s vision for financial inclusion in Tanzania, where all Tanzanians have access to the financial services they need to manage and improve their lives. With Chomoka, CARE aims to provide similar services to all financially excluded Tanzanians through a sustainable, social enterprise delivering value to users nationwide. This is a position for a dynamic individual who would be passionate about driving the product roadmap for Chomoka. This includes ensuring the current version of the solution is working optimally at all times while creating and executing the entire product development cycle for new versions of the application and platform. The Head of Product will lead a small but growing team and draw in additional technical support as necessary in order to meet these objectives. All aspects of the solution, from the mobile phones Chomoka recommends to the user experience on the front end to data architecture, database management and business intelligence solutions on the back end would fall within the Head of Product’s domain, providing the opportunity to lead on a plan that encompasses all aspects of the solution. • Holder of a minimum of Bachelor’s degree in Computer Science or equivalent combination of education and work experience in the field specializing in Information Technology. • Ability to coordinate and manage all kinds of technical demands. Excited about the opportunity to develop a new product in a challenging, developing country environment. • Ability to understand business requirements and translate them into technical requirements. • Creative problem solver seeking a challenging next opportunity. • An understanding of two-way SMS communications and data encryption. • Proven track record motivating development teams/leadership experience in parallel agile technical development teams covering both front- and back-end systems. • Proven experience of designing and implementing consumer and user-centric applications for Android mobile devices. We are looking for an Android Developer who can maintain and provide day-to-day support to the Chomoka team while also supporting the next versions of the Chomoka smartphone application. Guided by a roadmap jointly developed with the Head of Product, the application will evolve to build new features to better serve our target customers. Beyond just taking direction, this position will require a creative problem solver and team player. Someone who is constantly learning and is energized by working alongside a powerful team dedicated to delivering a best-in-class user experience in a challenging operating environment. • Proven experience developing Android apps using Android Studio. • Experience working in environments which present user constraints similar to what will be faced in Tanzania / East Africa (limited network and data connectivity, limited smartphone experience, and low levels of literacy). • Experience working in environments that present user constraints similar to what will be faced in Tanzania / East Africa (limited network and data connectivity, limited smartphone experience, and low levels of digital literacy). 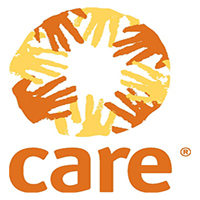 If your career aspirations match this exciting opportunity please send your application cover letter clearly articulating alignment with any of the above profiles and an updated detailed (CV) four pages maximum with a subject line of the position to TZAHumanResourcesDepartment@care.org by 5.00 pm January 19, 2018. Our diversity is our strength; we encourage people from all backgrounds and experiences, particularly women to apply.